The week has not been a total loss — crafty speaking. I finally added hangers to the Art to Heart Pin Up Ornaments. I found some variegated twine designed for scrapbooking — the color changes are fairly subtle — and cut the twine at the the end of each color. Using about 6.5 inches of twine, I knotted each end so that about 5.75 inches was between each knot. I tacked each end in place using clear quilting thread. Can’t wait to see them on a tree! 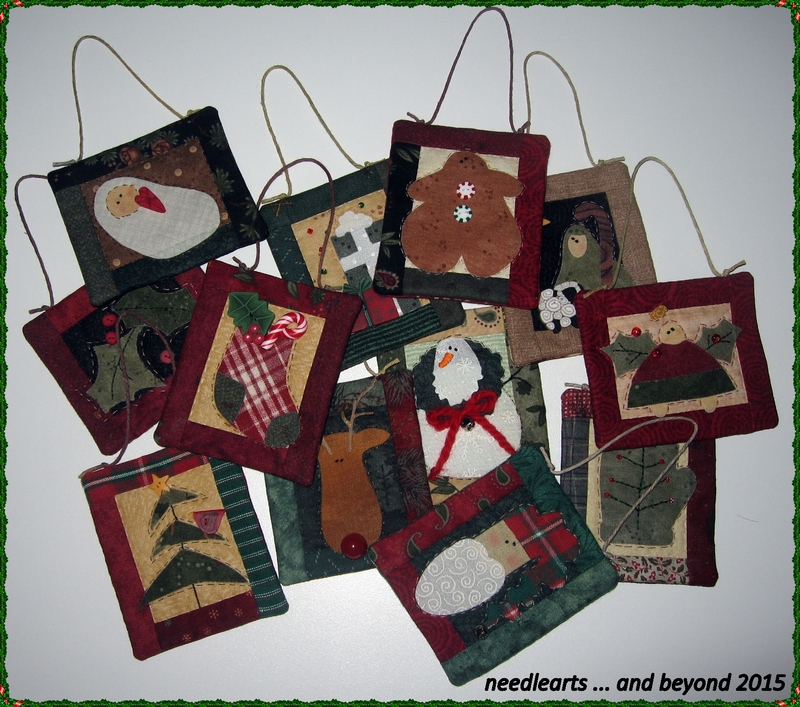 This entry was posted in Christmas Decorating, quilting and tagged art to heart, christmas ornaments, quilting. Bookmark the permalink.